If you own a home or business, you’ll understand firsthand the challenges that come along with ownership. From maintenance to repairs, upgrades, there’s a lot of responsibility involved in the upkeep of your home or business. When it comes to finding a comfortable, consistent temperature, there are a lot of issues that can arise with your heating and cooling systems. That’s why it’s so important to choose a heating or air conditioning contractor that focuses on the details – one that installs quality systems that are not only easy to operate, but function properly as well. Only the most professional and experienced companies can provide you with quality HVAC systems and services. Reagle Air Heating & Cooling is the company to call for professional work and experienced technicians. Reagle Air Heating & Cooling is a proud dealer of American Standard products. We truly believe that great work starts with great products, and we’ve done our research to determine which brand will deliver the very best for our customers. Of all the heating and cooling product manufacturers around the world, we take pride in supplying you with the most reliable and longest lasting HVAC systems. 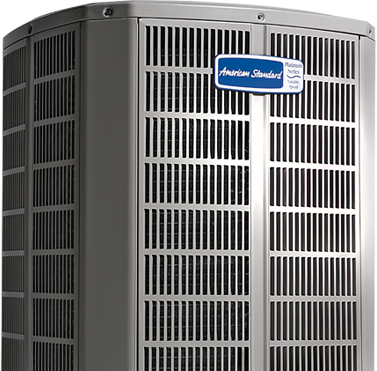 From standard air conditioners to commercial cooling towers, we provide the highest quality products.